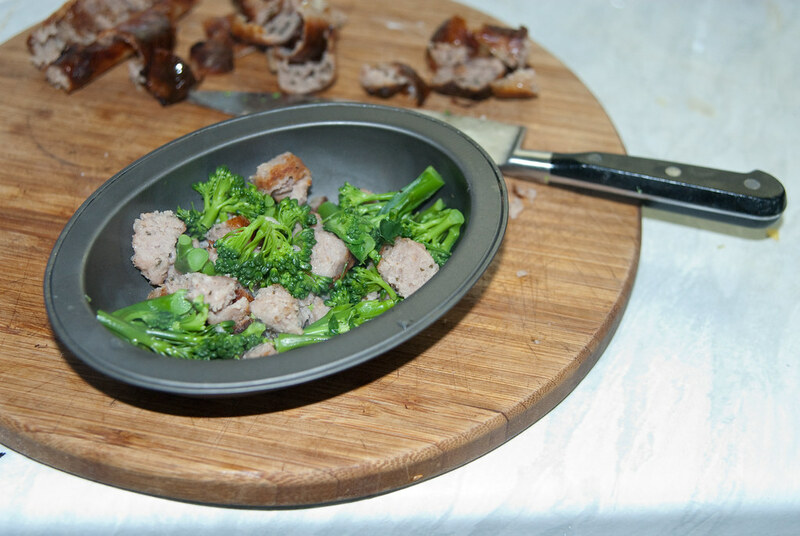 Take left over sausages and broccoli and place it in small cake/pie pan. (I used individual pie pans but you can probably make it in a muffin pan). 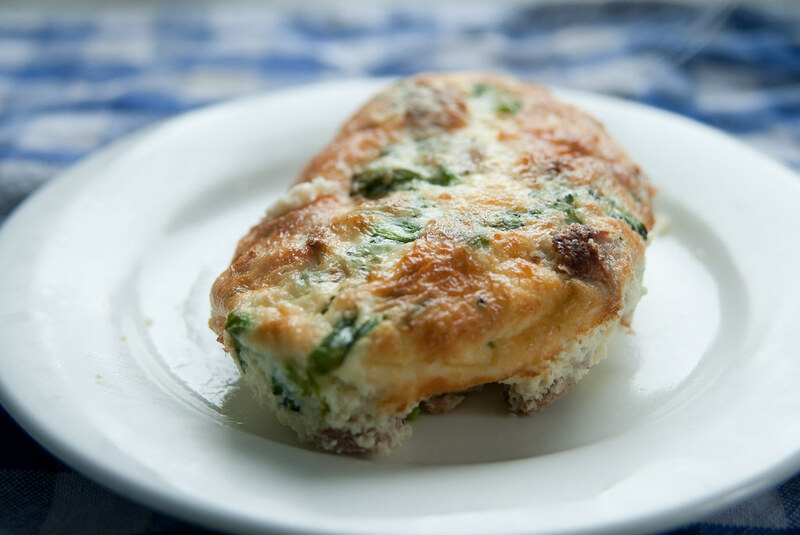 take 2 eggs, beat it, add a little milk (optional), 1/4 tsp of baking powder and season with salt and pepper. Add egg mixture to the pan. 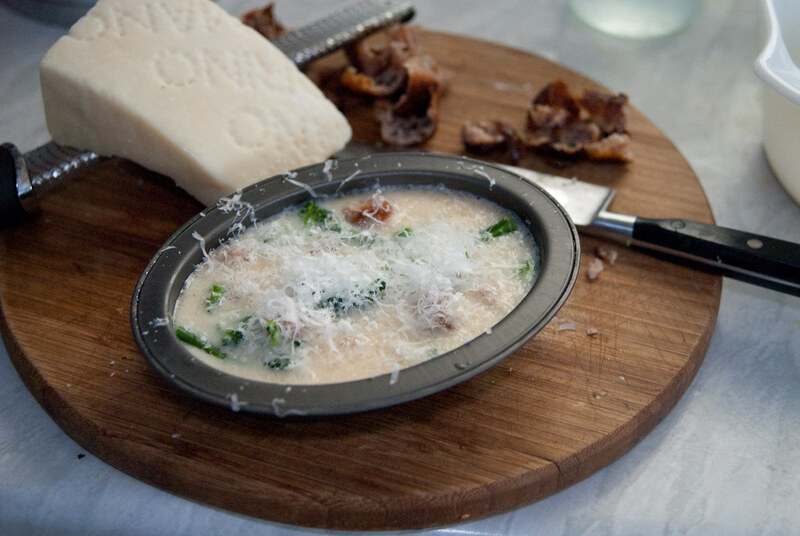 Grate some fresh pecorino or parmesan cheese over the top. bake in the oven at about 180C for about 20 minutes. 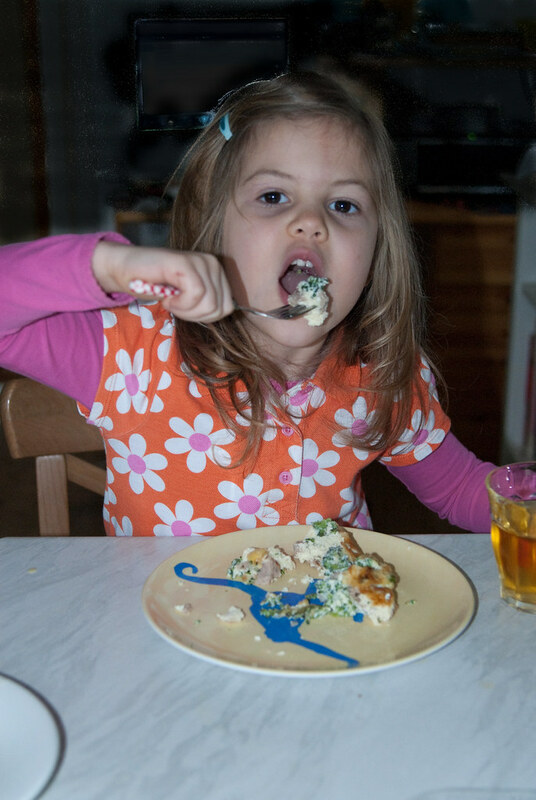 You’ll know it’s ready when it’s firm yet spongy at the touch. 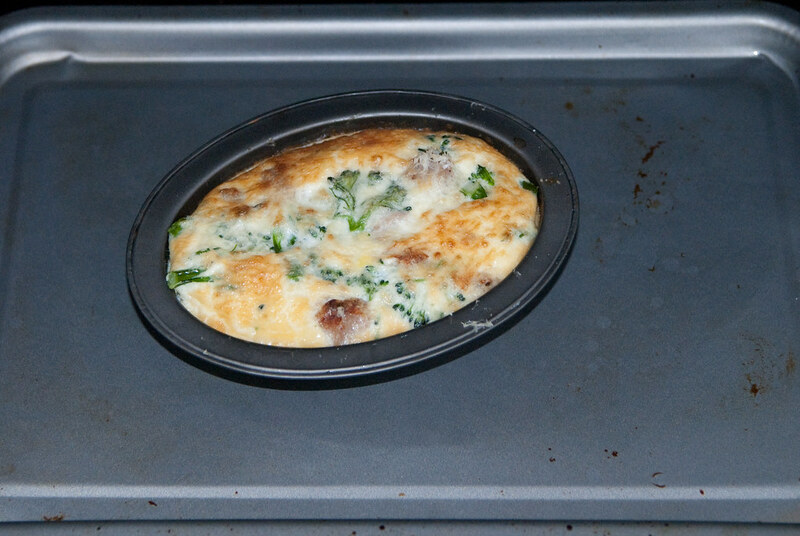 my only mistake was that I didn’t grease the pan well enough and it was very tricky to remove from the pan. This looks yummy and simple! I think I may need to give it a try!